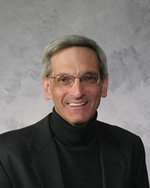 Bruce E. Scher is the academic dean and director of college counseling at Chicagoland Jewish High School. He has over 30 years of experience as an educator and college consultant in the public schools. His educational experiences range from teaching English, Spanish, Hebrew, reading, and humanities to gifted education and adult education. He has conducted instructional workshops locally and nationally and has been a speaker at national conferences. He has also served as a supervising and cooperating teacher with Illinois State University and Northern Illinois University. Bruce has been featured in the Chicago Sun-Times for his unique program on critical thinking in the high school, received the Dr. Mary Kooyumjiam Award for his contributions to gifted education, received a National Council Teachers of English Center of Excellence Award, and was presented with the Governor’s Master Teacher Appointment. In 1993, he was the recipient of an Illinois State University Outstanding Young Alumni Award. He has served as the President of the Illinois Association for College Admission Counseling and as a High School Director and Delegate for the National Association for College Admission Counseling. He has committed many of his efforts to ensuring that all young people, regardless of socioeconomic background, are able to receive a college education by spending time on Capitol Hill in Washington, D.C. and Springfield, Illinois lobbying on behalf of these young people and their families. Bruce’s commitment to helping young people and their parents through the college transition process and collaborating with his colleagues to ensure that all students are served is paramount to him. He is one of the founding instructors of The Academy for College Admission Counseling, which is a professional development partnership with Elmhurst College. Bruce was recently appointed to the position of Vice-President of the Midwest Region of CAJUE: Counselor Advocacy for the Jewish University Experience. This organization is developed by college counselors in North America who work closely with Jewish high school students, both in public and private schools, through the college admission process. He was also recently awarded the Harry Hoffman Award for outstanding service to and support of teens in the community by the Response Center. The Center services over 14,000 teens in crises every year. Regardless of financial means, teens and their families are serviced so that they can resolve crucial issues in their lives and become productive individuals. Bruce and his wife are the parents of two daughters: one is also an educator and the other is a nurse. Bruce was honored by the Illinois State University College of Arts and Sciences as a 2009-2010 Hall of Fame Inductee — an honor he so richly deserves!